1. Before dancing, take 5-10 mins to warm up and stretch your joints from head to toe (see demo video). In addition to this, try to allocate time for a daily stretching routine. 2. Also train for cardio endurance and muscle strength to compliment your flexibility. You hear some good music, you’re fired up, ready to jump in and have some fun on the dance floor immediately. That’s totally fine, right? Think again! A lot of muscle injury, joint pain, and cramps are result of skipping a crucial step before engaging in an activity. Unfortunately, such important thing is often overlooked by many of us. We use our body for all sorts of movements from sitting, to walking, and of course to sweat it out on the dance floor. But how much do we really take care of our body? Stretching is one of the best ways to maintain your muscle and joints for long term use. Think of it as self-love. Surely, you’d want to keep on dancing and do other cool stuff with your body for very long time instead of relying on those walking canes, right? But besides maintaining good health, stretching can do so much more wonders for us dancers. What can stretching do you for you, as a dancer? 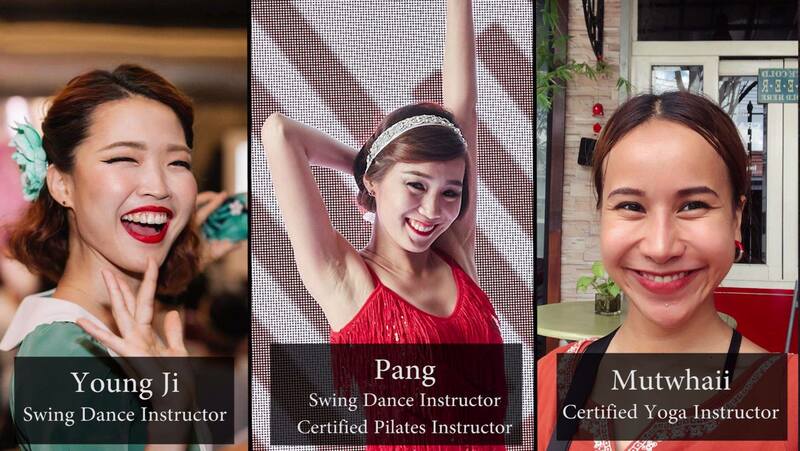 A swing dance instructor at Bangkok Swing noticed that students in L4 (back to basic) Lindy Hop class and private classes all had the same problem. They were all concerned that “I cannot do this new move” or “I understand the steps, but my body won’t follow”. There’s a good reason why you cannot do a move. It can range from the insufficient understanding of your own body movement, to the lack of muscle strength or flexibility. Notice that these are the foundation upon which your dance performance is built upon. Although they do not seem obvious or interesting at first, they do significantly impact your dancing ability. In fact, without a strong foundation, you will be stuck at a certain point and unable to progress further despite having an excellent understanding of musicality. So how does stretching help increase your performance? Wider range of movement means you are able to get more out of everything that you do, from being more agile during fast songs and more stunts like aerial moves, without feeling pain during and after performing the moves. Our body is capable of creating many beautiful shapes. We can allow our body to do so much more than we previously imagined just by increasing our flexibility and control over the muscles. Age is not only measured by the wrinkles on your neck; there are telltale signs in the joints too. The tighter your joints become, the more you function like an old body. So feel younger by stretching and enjoy all the cool moves that you can do for many years longer down the road. The two forces combined with jumping and bouncing on hard surface (such as wood) to add pressure to the joints. As no weight is absorbed by the surface, sufficient amount of pressure can cause pain in the joints. Common cases include knee pain for leaders when performing cool moves (lower joints) and shoulder pain for follows when turning (upper joints). When your body is under very heavy use and that it is not accustomed to the load, your muscles contract and expand so drastically that you get cramps. Stretching not only gently release tension in the muscles; it also promotes efficient circulation of your blood. The circulation allows oxygen and nutrients to be carried to your muscles, which they need for proper function, strength, movement, and flexibility. Thus, stretching can help reduce the chance of getting cramps.